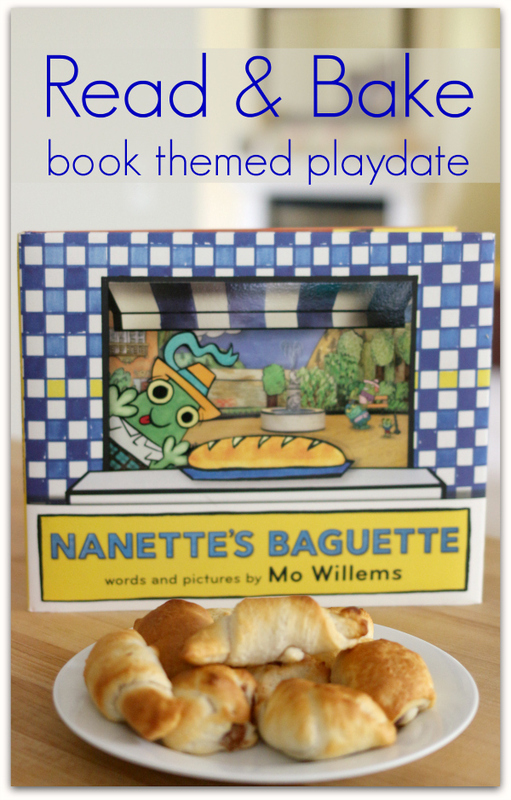 Matching books with activities is one of my favorite ways to turn a simple story into a playdate. 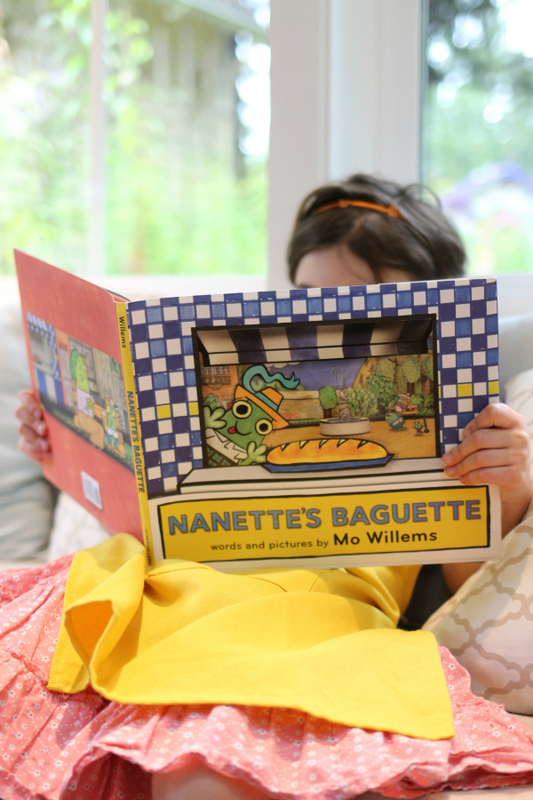 When the folks at Disney Books asked me to check out Mo Willems new book Nannette’s Baguette I couldn’t wait, and I knew exactly how I would turn it into a fun playdate activity with my daughter and one of her buddies. Before I get to the activity, let me share a little more about the book available October 25th. First, check out the video trailer. This sponsored post contains affiliate links. 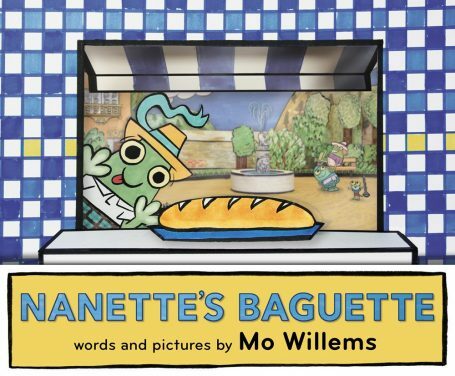 What we loved about the book was that so many of the sentences ended with a word that rhyme with Nannette and as we read we anticipated what word was going to be next. 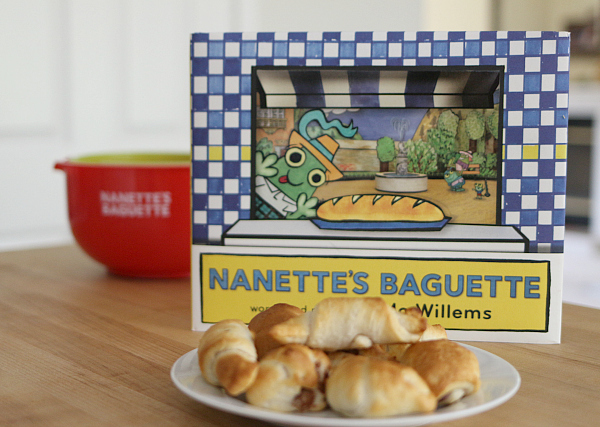 Nannette’s Baguette is a great book to introduce word families, do some rhyming activities, or even learn about France with it as well. We chose to do some baking instead! Before we baked, we read the book together. Then I asked the kids if they wanted to try baking something similar. They both agreed but immediately suggested chocolate chips. How could I say no? Baking with kids is one thing when it’s one or one but in a group, even a small one, I go for SIMPLE, not just because it’s easier for me, but so that my time isn’t spent correcting and interrupting their play, when things are simple the kids can take the lead a lot more. Gather your materials… um, I mean ingredients! 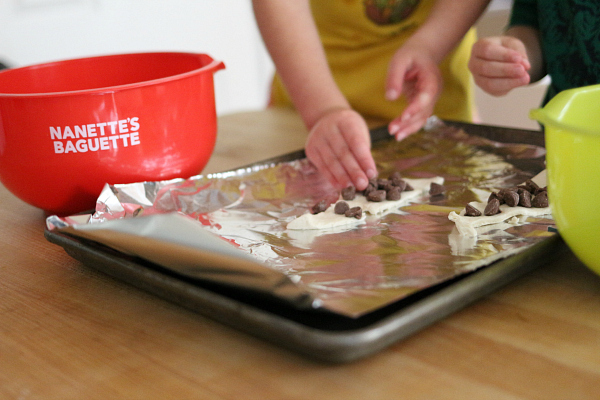 You will need some bowls, a cookie sheet, some prepackaged croissant dough, chocolate chips, and eager helpers. I took the dough apart and popped it into one of the bowls and put the chocolate chips in the other. 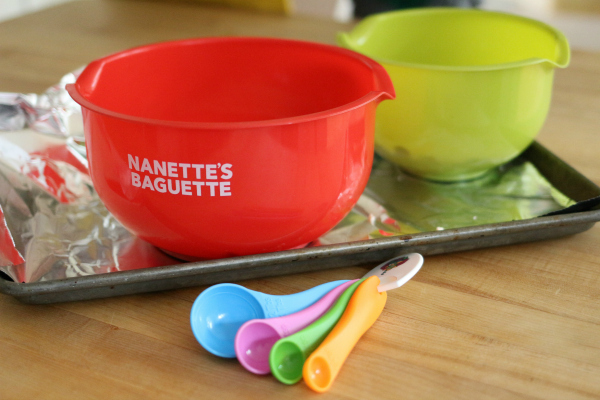 Aren’t these bowls adorable? They are part of the sweepstakes below, don’t miss it. 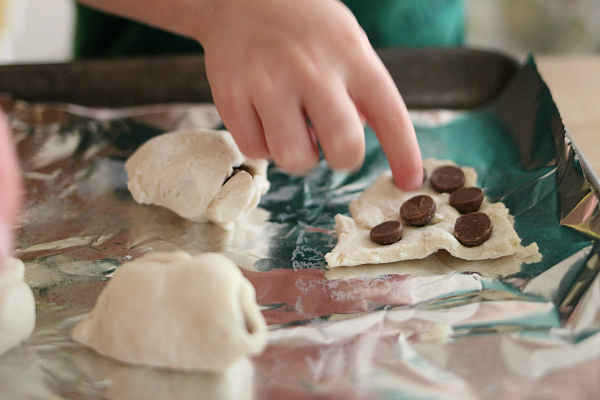 The kids got to work right away filling the dough with chocolate chips. I was asking them to count and see how many they could fit in. I can’t help it I am wired to sneak some math lessons in. 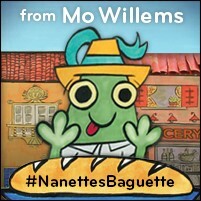 We popped them in the oven and when it was time to taste them the kids could totally relate to Nannette and her inability to resist eating that YUMMY wonderful baguette! · and a kid”™s apron! This sweepstakes is open to American residents 18 years or older. To be eligible for the sweepstakes you must leave a comment on this post answering what was the last book you read with a child. One winning commenter will be drawn at random, using Random.org, after the sweepstakes close on Sunday, October 30th at 8:00 pm PST. The winner will receive the prize pack listed, valued at approximately $35. After the winner is notified, he or she has 72 hours to respond with their mailing address, or another winner will be chosen at random. No purchase necessary.The number of eligible entries received determines the odds of winning. Any information gathered through the sweepstakes including email, and postal addresses will not be used in any way other than contacting winners and shipment of winnings. VOID WHERE PROHIBITED BY LAW. As stated above I partnered with Disney-Hyperion for this sponsored post. The last book I read was Little Blue Truck. I just read Way Up in the Arctic with my kids before bed tonight. Mr. Putter and Tabby Walk the Dog, we’re working our way through the series! I read Fire! Fire! by Gail Gibbons for Fire Safety Week! I read Apples and Robins! So creative! Fun for the whole class! We read Llama llama time to share. Last night, my daughter went to see Peter and the Starcatcher, so we had a pirate themed sorry time. We read Bucaneer Bunnies! I just read No, No David! to my two year old Grand! He LOVES this book so it’s FREQUENTLY read. I also read Splat the Cat with his older sister. Great fun! I just read a book to my preschool age grandchildren that I used to read with my own children: On Market Street by Arnold and Anita Lobel. A wonderful book to teach the alphabet with amazing illustrations worth of passing on to the next generation! I just read a book to my preschool age grandchildren that I used to read with my own children: On Market Street by Arnold and Anita Lobel. A wonderful book to teach the alphabet with amazing illustrations worthy of passing on to the next generation! Last nights bedtime book was The Okay Book. Very cute book. My class and I read Inside a House That Is Haunted. We retold the story using Halloween props. We love it! The last book I read to kids was “Owl Babies,” by Martin Waddell. Richard Scarry’s Please and Thank You was our bedtime story last night! Thanks for the giveaway! The last book I read to a child was Danny and the Dinosaur by Syd Hoff. The last book I read was spider and the fly , last night. Thank you for a chance to win. The last book I read to my kids was Spider and the fly. I read Clifford’s Halloween to my class. We did a follow-up ghost craft after the read aloud! Yesterday I read the Biggest Pumpkin Ever to my 7 year old nephew. He really loved it and now wants to grow a pumpkin. The last book that I read to my grandchildren was What Baby Wants by Phyllis Root. My son loves the book “10 Minutes ’til bedtime” and we read it all the time. It was probably the last book that I read to him. We read (and sang) The Itsy Bitsy Pumpkin by Sonali Fry. One of the latest book I read with my pre-K students was the Gingerbread Man. After reading it we bake gingerbread cookies and the children got to decorate them. We re-read the book and they act out the story eating the cookies like the fox in the story. I recently read The Reason for Seasons by Gail Gibbons to my kids. I read The Little Old Lady Who Was Not Afraid of Anything. Last week was Character Counts week. I read “What Does It Mean to Be Kind?” By Rana DiOrio. the last book we read was Hop On Pop! We just read The Little Red Hen last week and baked some bread! 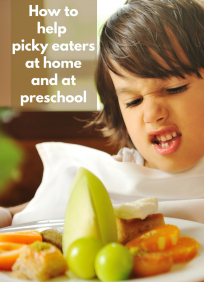 Lots of fun and yummy! The last book I read with my daughter was Five Little Pumpkins. She just learned the song at school, so she enjoyed reading the book at home! We read If you Give a Pig a Party! This book and baking set is just awesome. The baguettes look tasty too. My son and I just read ‘The Season’s of Arnold’s Apple Tree.’ Thanks for your post. We read They All Saw a Cat and The Airport Book together most recently. Two great books! 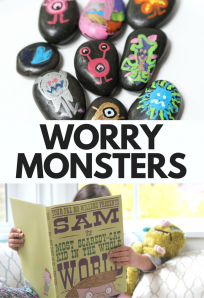 My students and I just read “Too Many Toys!” They’re on a big David Shannon kick right now! The last book I read to my students was Go Go Go Stop by Charise Mericle Harper. Great book. Children were super engaged. The last book we read is Dr. Doolittle. I’ve never read it before and it’s such a good book! Last night we read Moondog, Piggie & Elephant – Should I share my Ice Cream, Why should I share? and Why should I listen? We love to read and most nights we read 3 – 5 books and more on weekends. The last book I read to my story time group was Don’t Push the Button! by Bill Cotter. “Good Boy, Fergus” was the last book in our four that we read before bed last night. It is much requested. The last book my son and I read was “There was an old woman who swallowed a bat”. We love Mo Willems and read his books all the time too! The last book I read with a child was “Teammates”, the children’s book about Jackie Robinson.